PLS Blog: Can you be a book reviewer at age 12? Melina says yes! Can you be a book reviewer at age 12? Melina says yes! We love our reader girls, so we wanted to celebrate today's queen of reading: Melina! She reads ten books a week in the summer and four or five a week during the school year. 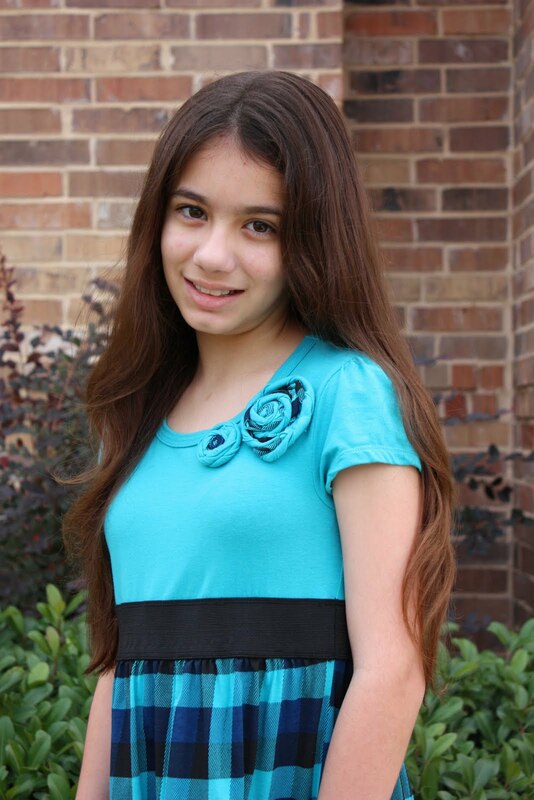 She loves reading and has been reviewing books on her blog since 5th grade. Her blog is called Reading Vacation, which we also love because books are an excellent (and cheap) way of taking your imagination on vacation. Here's her review of the latest Pink Locker Society book, The Forever Crush. And here's what Melina had to say about her booky, booky life. Do you remember your favorite books from when you were little? That’s easy! Fairy tales were my favorites when I was just starting to read. I had several books filled with classic fairy tales. When I moved on to chapter books, my favorites were the Rainbow Magic books by Daisy Meadows. I read them all! When did you first realize that reading was going to be something VERY IMPORTANT in your life? There was not a specific moment when I realized that reading would become my obsession. Instead, it was more of a gradual slide. My weekly trips to the library became more frequent and I added the local bookstore too. Before long, my bookshelves were overflowing with amazing stories. I couldn’t get enough! How did you get started in your book blogging? For a very long time, books have interested me. So, when I heard about book blogs a light bulb went off in my head. Instant inspiration! I knew it was the perfect thing to nurture my reading love. Next thing I knew I had my mom at the computer signing me up for a blog. And Reading Vacation was born. It is so fun to talk about books with other readers. When I was on spring break in fifth grade, my parents introduced me to blogs online. A blog gives you a platform to talk about anything that interests you and share your thoughts with others. Instant inspiration! I knew that I wanted to start my own blog. That week, Reading Vacation was born. What is your absolute favorite book of all time and why? There are so many to choose from! My all-time favorite book is The Goose Girl by Shannon Hale. It is a wonderful fairy tale retelling. Do you always feel like reading? Does it ever feel like work? I almost always feel like reading, but sometimes I would rather spend time with friends or just relax alone and take a break. If reading ever felt like work, I would close down my blog. I don’t ever want it to feel like I HAVE to do it. Did you come up with the blog name Reading Vacation? If there's a story behind it, please share. Originally, I planned to name my blog Reading Paradise. I loved it! Unfortunately, Reading Paradise was already taken by a college student in Cyprus. So, I thought what else sounded relaxing, soothing, and made me think of books? Reading Vacation of course! It was perfect! Do you own a ton of books or do you get books from the library? When I first started Reading Vacation, most of my books came from the public and school library. Now, I get nearly all of my books from authors and publishers who are requesting reviews. I also trade books with other book bloggers around the country. Do you have a Kindle, Nook, or iPad? Do you like e-readers or paper books? I received a Kindle for Christmas last year after dropping many“subtle” hints to my parents. I love both e-readers and paper books, but each for different reasons. E-readers are amazing! With just one click, I can have a new book in my hand ready to read. Not only that, but I can carry around hundreds of books in one handy little device. I think e-readers are the future of books. Paper books smell so yummy when they are brand new. I like to arrange my books on my bookcase to show off all the beautiful covers. There’s just something special about seeing them all lined up. It is also much easier to loan a paper book to a friend. Do you belong to any book clubs? I have never been part of a traditional book club. However, I like to think of the book blogging community as a giant book club. We talk about books on twitter and comment on each other’s blogs. They are a supportive group of friends with a common interest. If you could go out to lunch with and interview any author, who would it be? Suzanne Collins, author of The Hunger Games trilogy. Where would you interview Ms. Collins? I would interview her in Colorado. Katniss, the main character in The Hunger Games lived in the area that used to be known as Colorado. Would you bring a friend? I would bring my little brother Travis, because he loves The Hunger Games books too. Plus, it would get him to stop pestering me with questions about the books that I don’t know the answer to. Two birds with one stone! What would your No. 1 question be? I would ask Suzanne Collins to write a short story just for me. I totally want to do that!! That is an interesting hobby- wow! i love reading sooo much too! i taught myself to read when i was 4 and i just went up from there really! the first chapter book i read was The BFG by Roald Dahl when i was 5 and i read it in 3 days! When i was 11 I taught my little sister to read! 10 books in a week!AMAZING!!!!!! wow i cant belive this girl... she is really awsome for reading 10 books a week!Personaly i couldnt do that, thumbs up for her!! good job btw i love ur hair! Hey does anybody have any good craft ideas?? 1 word for u Melina: awesome! i am juss like u! i luv reading . i think reading ROCKZ ( well most most of the time)im 13 and im popuplar ( not to brag) and even tho im popular i am nice. I love reading! My favorite book is warriors:into the wild, the book is about a cat named Firestar who starts out as a kittypet (house cat),and joins thunderclan to defeat the leader of shadowclan (Tigerstar). I highly suggest you read it. I luuuuuuuuuuuuuuuuuuuuuuuv reading! I go 2 the library every Friday! (Well almost!) But when I run out of my books, I only hav my siblings books! Wow Melina! I LOVE reading books and I think a book blog is an AWESOME idea! I'm more of a bookworm but I still fit in! I agree. I just looooooooooooooooooooooooove books about fairies. I love reading to! Everything on my Christmas list is a book! You will find me on my nook. I could read all day. I recomend the Mother-Daughter Book Club by Heather Vogel Frederick. Another one of my favorites. I also love the Hunger Games. Reading them over again before the movie comes out. March 23! YAY! SO EXCITED! Keep following your dreams. I want to be an author. Just started my first novel. I highly reccomend the Eragon series to those who haven't read them yet. I like reading logical books such as When Bad Things Happen to Good People. i like down-to-earth logical books, right now i'm starting To Young To Die, a book about youth and suicide and the story behind it(suicide). having a book blog or being a book reviewer sounds sooo fun! my family won't let me though. "Action-packed.Ceartin to please any reader who has ever wonderd what dreams of grandear may haunt the family cat"
"The seris is patterned in the style of classics by J.RR Tolkein or Brian Jacques. Read this, and you'll never look at your plain old tabby the same way again"
By Chris Preistly ( I think) It's kinda creepy , but only if you get it. Well, I dont review books but I write them and I want to get them published. You go girl! I love to read, The Hunger Games series is awesome! I adore reading! Paper and ink smell so good! I don't just read books, I love smelling them and feeling the texture of the paper. I'm writing a book called The Elements Combined. It's about a man who's trying to get revenge on the city that exiled him ny taking away the earth's elements. Six girls are 'born' from the elements before they are destroyed and, along with a few boys that follow them on their journey, save the world! My favorite books are the Secret Series by Pseudonymous Bosch!!! They're not very popular(since their secret! LOL) but they're really awesome! You should try reading them! The hunger games are epic!!! I thinjk 2nd or 3rd grade i started to sprout hair in my pits i know it's a really young age. Anyways in 4th grade i raides my hand and a guy saw. I was so embarrased. Now i don't raise my hand high whem i dance or want to answer a questio what should I do. I love to write books... but how do I know if I am any good or not? I am super shy and I don't like to share my stories with people. My mom has tried to read some but I am not sure if she liked them or not. My sister says they are too boring but she is only six. My brother is very encouraging and would like to read them but I just don't know. Please help.